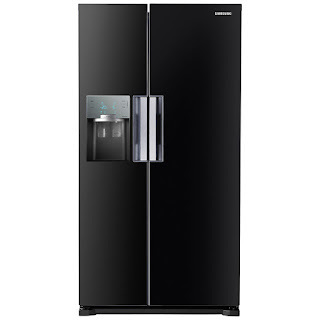 We have a nice big 2013 Samsung fridge freezer Model RSH7ZNBP that had a problem. Replace the Compressor, 3 way Valve & Re-gas appliance at a cost of £413 and thanks for the £94 call out fee. Fantastic. The words inside confirmed that the compressor was only guaranteed for cost of parts, the main cost involved in the quote. A call to the service centre whet much easier than expected and the same service folks visited a week later ... with the wrong part. A further visit a week later saw the compressor, 3 way valve all replaced and the fridge/freezer re-gassed and working. No more mechanical clanging rattle on compressor stop. Looking back just a bit concerned that the service folks who first visited did not know about the 10 year extended warranty given for free with this model but ho hum all sorted in the end. The usual rules apply for these complex appliances, Keep the receipt and book of words and insist on a woking life of 3..8 years without major repairs. Thank you very much for the informative article about Refrigerator Extended Warranty. I am glad to stop by your site and know more about extended warranty services. Keep it up! This is a good read.